Died: Last seen in 1913. 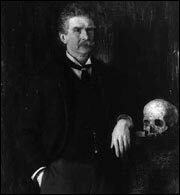 One of the greatest real-life literary mysteries is the disappearance of cynic and terror-fiction writer Ambrose Bierce in the early 1900s. 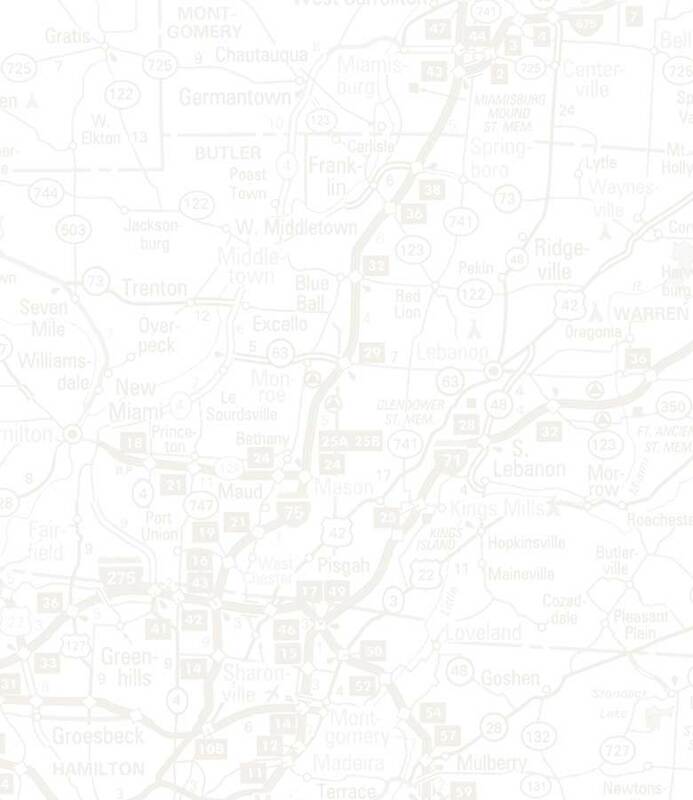 Born in Meigs County, Ohio to Marcus Aurelius and Laura Sherwood Bierce, Ambrose Bierce's family moved to Walnut Creek, Indiana when he was four years old. He was the tenth of thirteen children -- all of whose names began with the letter "A." His was a self-described cold and lonely childhood, and so, at the age of nineteen, with just one year of high school under his belt, Bierce left home to take a printer's apprentice job at an antislavery newspaper elsewhere in Indiana. Following that, Bierce held a number of different jobs -- from brickyard worker to retail store employee -- and even tried school one more time before finally enlisting with the 9th Indiana Infantry Volunteers during the Civil War. There he served as a mapmaker and soldier, and received several promotions, all while fighting in some of the war's most important battles. He was shot at the battle of Kennesaw Mountain and shortly afterward, released from military service. He may have left the war, say many of Bierce's critics, but the war never left him. Upon reentering the civilian workforce, Bierce worked briefly for the Treasury Department and then at the San Francisco mint before beginning a career in journalism. In 1868, he started writing a newspaper column called the "Town Crier" for the San Francisco News Letter. Paired with his brand of cynicism, it was an instant success. In 1871, Bierce published his first dark short story -- "The Haunted Valley" -- and also married Mollie Day, the socialite daughter of a wealthy Bay Area miner. They moved to England in 1872, where both Bierce's career and their family life prospered. Mollie gave birth to two sons, Day and Leigh; Bierce wrote for two British periodicals, but he also published his first three books. In 1875, Bierce and Mollie returned to the United States, where their third child - a daughter named Helen - was born. In 1887, Bierce began writing a new version of his "Town Crier" column, entitled "The Prattler," for William Randolph Hearst's The San Francisco Examiner; he would continue to work for Hearst's various publications, on and off, until 1909. While there, the outspoken, influential, and cynical writer earned himself many unflattering nicknames, including "Almighty God Bierce." He also, however, achieved great journalistic success; his description of his mission was simple but valiant: "I am for preserving the ancient, primitive distinction between right and wrong." In 1896, Bierce exposed a railroad tycoon's plans to avoid paying off a federal loan and, in effect, helped spark the demise of the misguided American railroad industry. Between 1881 and 1903, Bierce published several more books -- among them his noted first short story collection, Tales of Soldiers and Civilians, full of horrific fictional accounts based on his experiences in the Civil War. His other, most famous written work was the Cynic's Work Book, published in 1906. Known today as the Devil's Dictionary, it was Bierce's own compilation of cynical definitions, like: "Brain: an apparatus with which we think we think" and: "Bore, n: A person who talks when you wish him to listen." In 1909, he published two more books -- including Write it Right -- before completing his final Collected Works three years later, in 1912. A slew of personal problems in the late 1880s and early 1890s dramatically contrasted with the swift advancement of his career. Between 1888 and 1905, both of his sons died, he and his wife separated, and then she, too, died just before their divorce was finalized. Bierce's most lasting legacy, though, is undoubtedly his disappearance. In 1913, he organized all his personal affairs, completed one final visit to American Civil War battlefields, and then set off to Mexico, then in the midst of its own civil war, and disappeared. Some say he went there in search of the legendary Poncho Villa. Others say he went as a form of suicide, knowing he would surely be executed during the country's in-fighting. Still others believed that Bierce never went to Mexico at all, but secretly took his own life by jumping off a cliff into the Grand Canyon. Whatever the real story is, one thing is sure: No one ever heard from, or saw, him again. "As to me," reads the last letter he ever wrote, "I leave here tomorrow for an unknown destination." Photo: Photograph of painting by J.H.E. Partington. Copyrighted 1928 Dec. 31.